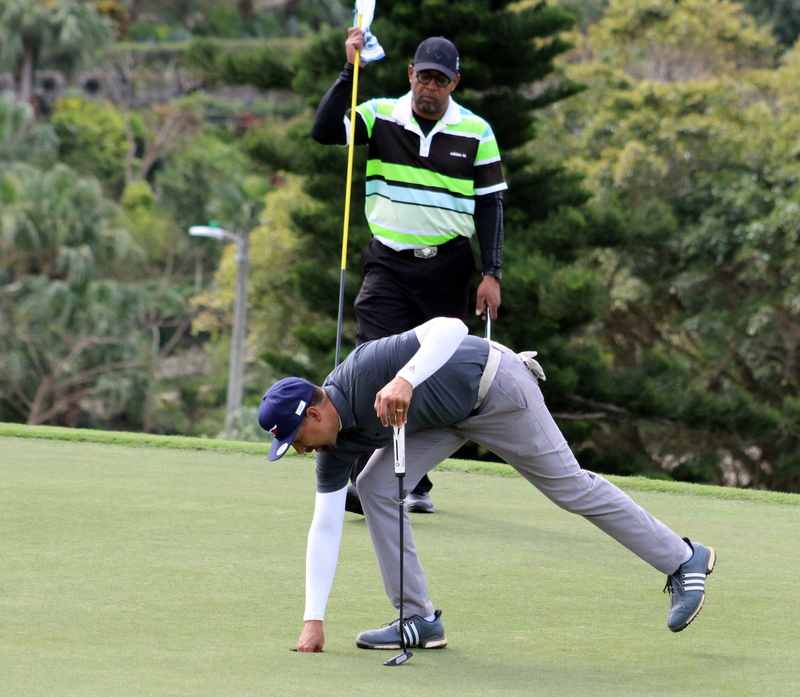 The Bermuda Professional Golf Association’s Championship got under way at the Tuckers Point Club in some challenging conditions. Scott Roy and Chaka Desilva lead the way with equal rounds of 2-over par 72. Tuckers Point Professional Paul Adams is in 3rd place with a solid 6-over par 76, while Dwayne Pearman is in 4th after a round of 9-over par 79. Clarkie Trott currently holds the 5th position after his First Round 10-over par 80, Brian Morris and Camiko Smith are T6th after Rounds of 11-over par 81. The Final Round will take place Friday March 1st starting at 12 at the Tuckers Point Club.